Weather-wise, it was the best day of the entire weekend. 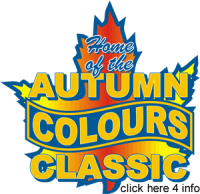 A packed grandstand watched the action as the 2014 Autumn Colours Classic championships were decided Sunday, October 12th on Canada’s Toughest 3rd of a Mile Paved Oval. The 114 lap Pro Late Model headline dance was the first order of business, as Ryan Kimball and Dan McHattie brought the field to the green flag just before 1:00. It wasn’t long before the leaders caught the tail-end of the pack and began working through the backmarkers. Just 46 laps showed on the scoreboard when the first yellow waved for a spin by Nick Goetz. Kimball was doing everything he could to hold back a hard charging Gord Shepherd, when Brittney Gresel, Gary Elliott and Mat Box came together on the front stretch with 64 circuits complete. Shepherd pushed his #10 machine a little too hard trying to overtake Kimball and gave-up 3 spots in the process. It was now Mark Watson’s turn to pressure the leader. Tyler Liscum’s day ended after hard contact with the 3rd turn wall with 103 down and that’s also the point where Kimball’s day took a turn as well. As the field came back to speed on a lap 108 restart, the #29 was deemed to have jumped the start and was moved back a row. The race now had a new leader – Gord Shepherd – for the first time since the drop of the green and he was able to hold on for the win. A disappointed Kimball was second, with Watson, Bryan Mercer and McHattie completing the top 5. The Battlefield Equipment Rental 4Fun teams were next to roll from the staging area for a 40 lap affair that saw Terry Hubbard – in a ride cobbled together by his friends on the Farm Bro Racing team – and Ray Schroer on the front row by virtue of their performance at the Chase for the Colours event. 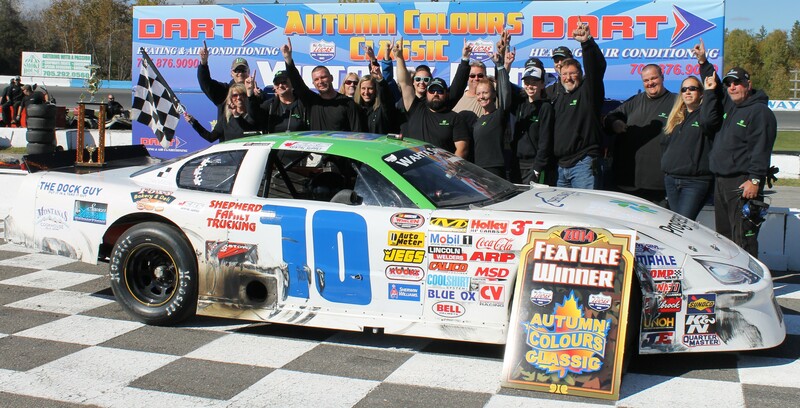 With every driver in the field looking to make a little history by adding an Autumn Colours Classic win to their resume, there were a number of yellow flags but when the checkered waved, it was Griffin Powell posing for photos in Dart Heating and Air Conditioning victory lane. Hubbard was second. Malcolm “Pops” MacDonald, Tiffany Vanderbelt and Andy Wheller chased the leaders across the stripe. 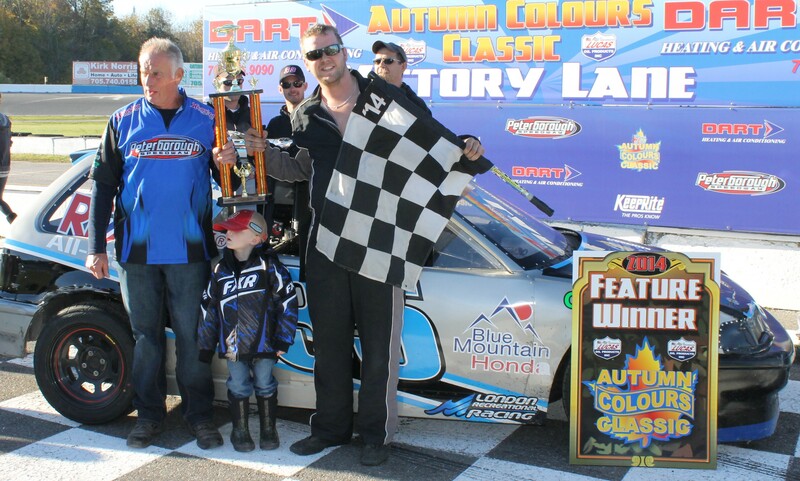 By just starting the main event, Gary McLean clinched yet another OSCAAR Modified Series championship, but there was still the issue of 50 laps of racing to determine an Autumn Colours champion for the open wheeled crew. Max Beyore – who was named 2014 series rookie of the year – and Davey Terry brought the field to the stripe. Just 3 laps in, Cory Horner brought out the yellow flag with a spin. Things settled-down a little after that, with Brent McLean taking over the top spot with 25 circuits complete. Terry would get into Gary McLean on the front stretch, ending the champion’s day just 2 laps later. The #7 machine would hang on for the win, with Beyore, OMRS invader Nick Lees, Matt Barton and Gary Elliott completing the fast 5. With 50 laps on the table, 30 starters took the Peterborough Hyundai Mini Stock green flag with ‘Chase’ winners Tyler Junkin and Doug Butler on the front row. Early in the going, a backstretch incident collected Craig Kamrath and Bryan Sudsbury as the pair was trying to avoid a slowing Brandon Hannah. Sudsbury was able to continue, but after climbing the back stretch wall, Kamrath was through for the day. The race leaders started lapping slower cars with 8 laps on the scoreboard. Contact between 2014 track champion Ryan Babin and Danny Benedict brought out a caution with 24 complete. There was another yellow just a couple of laps later for contact between Hannah, Nick Clarke, Trevor Hemingway and Chad Corcoran. A final yellow for a spin by Corcoran slowed the pace again, but no one had anything for Andy Kamrath. The most dominant Mini Stock driver of 2014 scored another win, with Junkin, James Townsend next across the line. Their performance in the Chase for the Colours event put Andrew Gresel and Jesse Kennedy on the front row for the OSCAAR Super Late Model main event, but there were only 3 laps complete when the #7T of Jeff Dunford slowed in the 3rd turn. On the ensuing restart, Craig Stevenson’s day came to an end with a hard hit into the 4th turn wall, bringing out a red flag so emergency personnel could check on the driver. The popular touring series was treating the capacity crowd to a great show when the #27 piloted by NASCAR Canadian Tire Series star J.R. Fitzpatrick dropped off the pace on the front stretch. Several cars were able to dodge the wounded ride, but not everyone was so lucky. At least 7 machines were collected at the end of the front stretch and veteran Charlie Gallant needed to be helped from his car by track workers. Gresel would lead every lap for a series championship clinching victory. Shawn Chenoweth, John Owen, Mike Beyore and Shane Gowan followed the leader across the line. 75 laps would settle the issue and crown the 2014 Earl Ireland Auto Sales Late Model division Autumn Colours Classic champion. Front row starters Nick Goetz and Jack Horner would bring the field of 26 to the stripe and in as much time as it took the green flag to wave, Ryan Kimball would claim the top spot. A 3 car incident involving Steve Foster, Rick Walt and Jack Horner was the 3rd in a series of quick yellow flags to slow the pace. 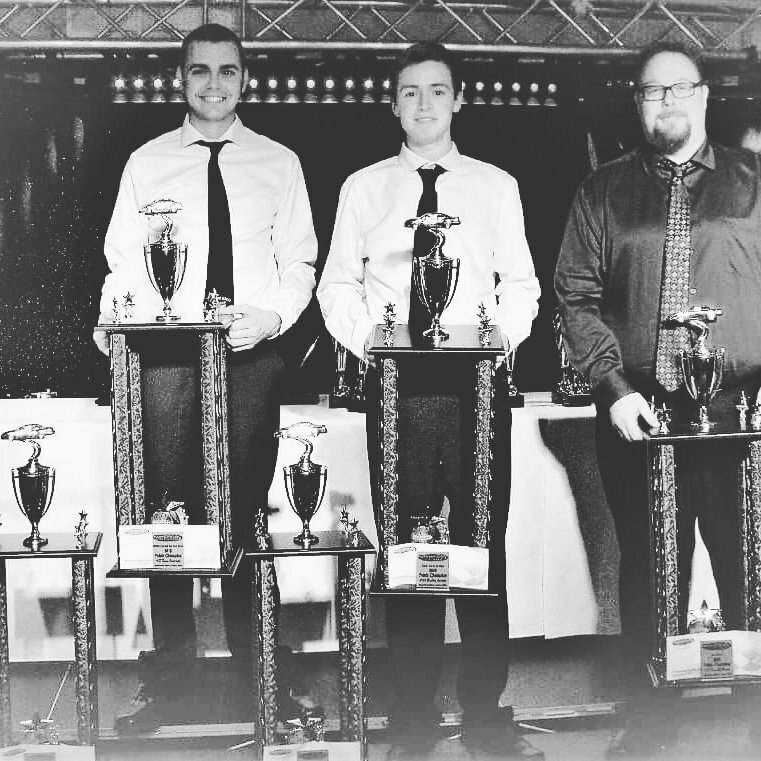 Kimball – the 2014 Peterborough Speedway track champion – maintained control of things on the point, but there was plenty of action taking place in his rear-view mirror. When Rick Walt and Shaun McWhirter came together near the flag stand, Walt climbed from the car to voice his displeasure with the driver of the #31N machine. 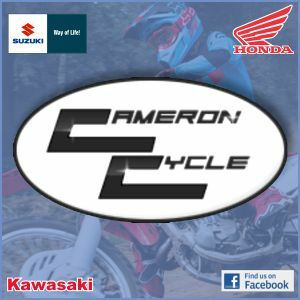 The event’s final yellow flag was displayed for a 2nd turn issue between Amanda Connolly and Frank Davey, but there was no denying Kimball his first Autumn Colours’ championship. Gord Shepherd chased the #73 across the stripe. Canadian Motorsports Hall of Famer Stompin’ Tom Walters, Jason Parker and Taylor Holdaway followed the lead duo to victory lane. The final feature event to hit the tight, tricky bullring on Mount Pleasant Road, west of the Liftlock City was a 50 lapper for the Paul Davis Systems Thunder Cars. Ken Grubb and Dan Archibald had earned the front row spots during the Chase for the Colours pole qualifier, but it was the powerful #89C of Shawn Chenoweth that stole the show. Yellow flags were again plentiful over the race distance, with a number of the front runners including Cayden Lapcevich, Todd Musker, Jordan Latimer, Dennis Cybalski and Archibald sustaining damage. Chenoweth survived an early incident to take the win over Todd Davenport, John Baker Jr., Matt Bentley and Brandon McConnell.